Contact me at chhsj641@gmail.com if you are interested in joining the Royal arch Masons of Ohio. We meet on the third Friday of the month here at the College Hill Masonic Temple. Contact me at chhsj641@gmail.com if you are interested in joining the Order of the Eastern Star. We meet on the third Tuesday of the month here at College Hill Masonic Temple. Contact me at chhsj641@gmail.com if you are interested in joining a Lodge of Freemasonry. We meet on the first Thursday of the month here at the College Hill Masonic Temple. It is a system of morality, a way to make good men better, to help each individual develop to their fullest potential. It is a strong support for democracy and freedom, and it is an organization that improves mens' character. It traces its origins to the Stone Mason Guilds of the 1500s. During the 1600 and 1700s, also called the Enlightenment, gentlemen joined the craft guild and transformed it into a fraternity. These “non-operative masons” adopted the tools and legends of stone masonry to teach moral, intellectual and spiritual lessons. 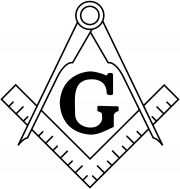 Just as masons improved stone to build cathedrals, castles and other great buildings, Freemasons use symbols and allegories to build better men that create great societies. Through the influence of good men such as George Washington & Benjamin Franklin, Freemasonry and its ideals continue to thrive around the world. Mason and you could be our next featured Mason! It is Good to give relief to those who are in need. Thank you for celebrating with us on the 100th Anniversary of College Hill-Harry S Johnson Masonic Lodge! We are looking forward to have you join us and together we'll continue to relieve those in need, for another 100 years.